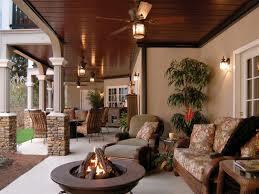 According to one study, 107 million out of 128 million homes in the U.S. have either a porch, deck or balcony. That means there is a lot of square footage down below unused. 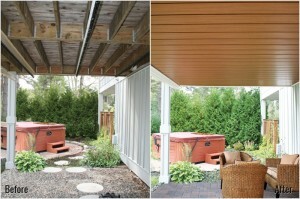 One way to make that space usable is with InsideOut Underdecking. 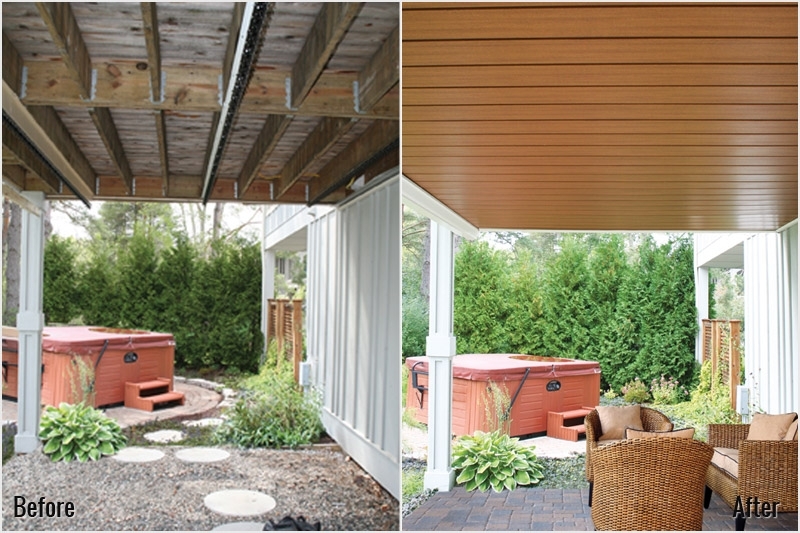 A specially designed and pre-engineered ceiling system, InsideOut transforms the underside of a deck or balcony into a desirable outdoor living space by managing rainwater. How does it work? Water-carrying panels hang from specially designed brackets and usher water to gutters either to the front or rear of the space. Inside Out Underdecking is available for installation on homes by Nyhof Custom Gutter & Aluminum and also by United Building Supply for contractors whose clients are looking for a beautiful addition to their outdoor space. Inside Out can make your home look better both inside and out and also create an environment that draws you outside. The titanium-aluminum alloy under decking from Inside Out is maintenance free and durable in all kinds of weather — and a big step up from the vinyl under deck drain systems also on the market. InsideOut Underdeck can manage a load (think snow or ice) of 20 pounds per square foot, which means homeowners never have to worry about how the addition will bear up to our nasty winters. InsideOut Underdecking also comes with a limited lifetime manufacturer’s warranty against material defects as long as the deck is intact. InsideOut Onderdeck protection comes in 12 unique finishes: five wood finishes and seven rich matte colors. Don’t leave that space under your deck to the mosquitos! Give Nyhof or United Building Supply a call and transform that space into an extension of your home.